From the moment you step into our sleek and homey interior until you stride out the door with stunning hair, we are confident that you will have enjoyed your experience with us. 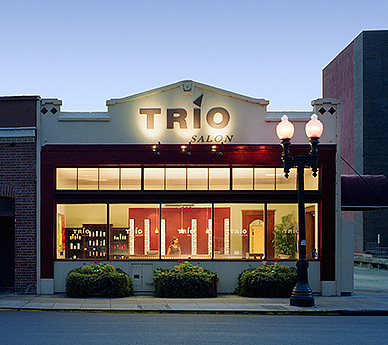 Trio Salon has been a top Bay Area salon since the stylish doors opened twenty years ago. Twenty-eight well trained stylists keep the salon humming seven days a week. Located in Burlingame, we attract clients from the entire Peninsula, as well as from San Francisco, San Jose, and the East Bay. Our client computers, best products, and friendly receptionists, contribute to making us a salon “must”. Trio Salon in Burlingame is now closed. To purchase this domain, call 800-422-1523.